With over 168,000 employees, the Boeing Company is one of the largest companies in the United States. After doing the review of the Boeing Pension Value Plan (you can check that out here), I’ve been receiving a number of questions about the Boeing VIP 401(k) or Voluntary Investment Plan. So after scouring through the nearly 300 pages of documents and materials, I’ve compiled 10 things that you must know about the Boeing VIP. The better educated you are about your 401k benefits, the greater your chances of making smart decisions and achieving great retirement outcomes. For those readers who have found my site for the first time and don’t know much about me let me introduce myself. 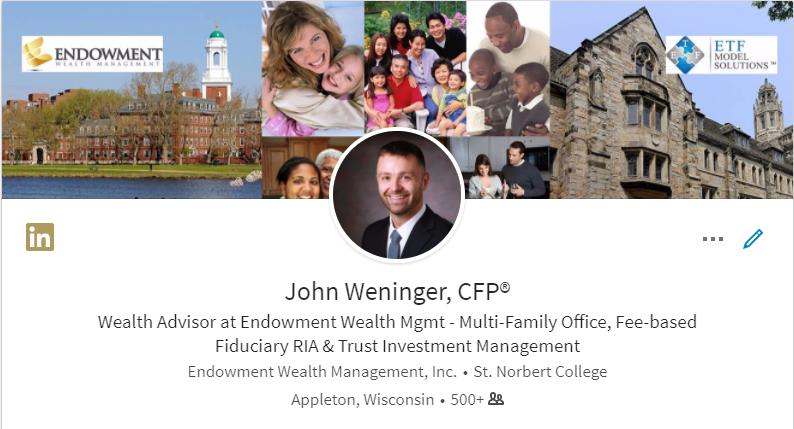 My name is John Weninger and I’m a fee-based financial planner at Endowment Wealth Management, a multi-family office, currently serving clients in 12 states. I don’t work for Boeing or any affiliated companies nor do I receive any compensation from them. I have spent a great deal of time examining the summary plan descriptions and resources available to produce this review. Since I’m not tied to the company in any way, I offer an impartial and objective view. My hope is that I can help educate you so you can make well-informed and smart long-term financial decisions. I’ll explain how you can directly ask personal questions at the end of my review. If you’re on LinkedIn, I invite you to connect with me and learn more about or our company here. So let’s get at it! Here are 10 things you must know about the Boeing VIP. Note: This post was originally written in April, 2014. Information on the Boeing VIP may have changed since then so make sure to check your Boeing Summary Plan document for up-to-date details. If you’d like to help us out, reach out and send us a copy so we can update this blog for everyone. As a new hire or rehire beginning back on January 1st, 2008, you’re automatically enrolled in the Boeing Savings plan at a pretax contribution rate of 4% of your base pay. That means that 4% of your base paycheck will be put into your account (before taxes) every pay period. The pretax contributions are deducted automatically from your paycheck 60 calendar days after you are eligible to participate. To be clear, you can choose any amount you want, up to a limit of 25% as well as federal limits on contributions, but if you do not actively choose an amount, 4% is automatic. If you don’t actively choose your contribution rate, you’re automatically enrolled as discussed in number 1. Then, every year after on April 1st, that amount increases by 1% per year until you reach 8% of your base pay. The idea is to increase the amount by a small percentage each year to help you save for your retirement goals. You might actively choose to save more or less but if not, the amount automatically increases by 1%. If you are age 50 or older by the end of a calendar year, you can make what’s called “catch-up” contributions to your Boeing VIP account that are over and above the normal and legal limits. For 2014, you can contribute an additional $5,500 on top of the available $17,500 you are able to normally stock away. That’s a total of $23,000! An excellent way to evaluate whether or not to make the catch-up contribution is to develop a financial plan and see if you’re on track to retire when you want. The one major drawback I found with the Boeing VIP 401(k) plan is the limited amount of investment options. There are only 23 funds to choose from and 8 of those funds are life cycle funds. 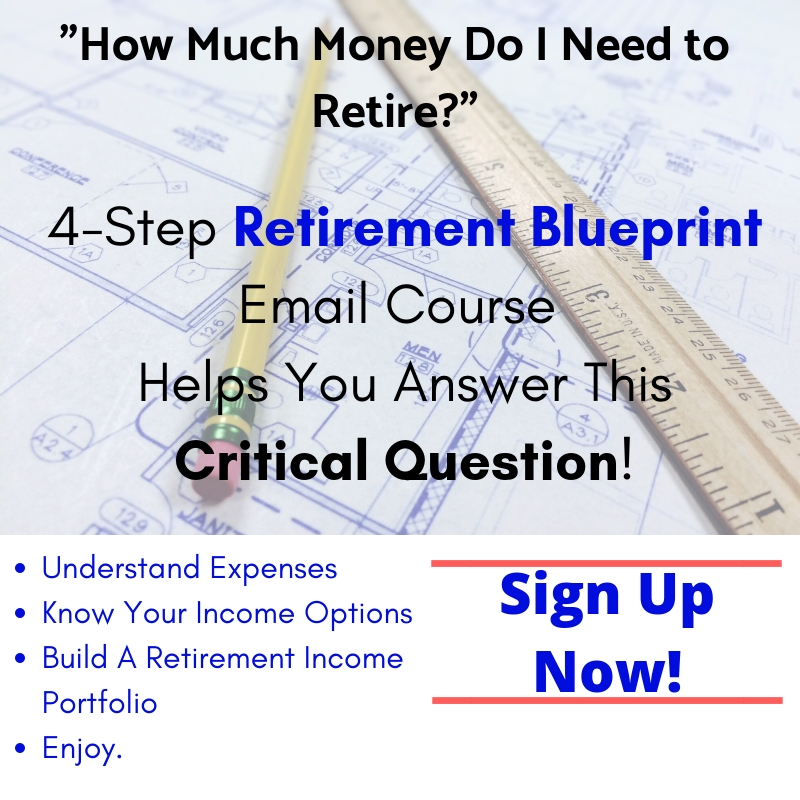 The lack of options restricts the investment strategies available for your retirement dollars. Luckily as I’ll describe in #8 and #9, you have the ability to move money from the Boeing VIP plan to execute other, more flexible investment strategies. The fees that the funds within the Boeing VIP plan charge vary from .05% to .72%. I’ve included a table below that lists the funds along with the total annual operating fee. Most of the funds available are cost competitive with funds available outside the Boeing VIP, however the life cycle funds, which are basically index funds that re-balance as you grow older, are a bit pricey. They are also the default investment option so you’ll want tot be aware of where your money is actually invested. After purchasing an investment within the Boeing VIP, there is a set time period you need to hold the investment in order to avoid a penalty. For example, if sold within the first 15 full calendar days after purchase, a penalty of 1.5% is charged on the amount sold. With so few investment options, chances are these amounts could be high. This feature doesn’t allow for much flexibility in the event of a market move after making a large purchase. In addition to any matching funds that the Boeing Company provides you, Boeing also contributes 4% of your base pay automatically to the Boeing VIP. That means whether or not you decide to contribute your own dollars, 4% is automatically contributed from Boeing. This amount is in addition to any matching dollars Boeing contributes based on your position. In Must-Know Number 4, I talked about the lack of available investment options in the Boeing VIP 401(k) plan. This feature can help you overcome that limitation. As soon as you’ve been employed for 5 years, you have the ability to rollover any employer (Boeing) contributions from your Boeing VIP account to an Individual Retirement Account (IRA). By moving a portion of your money to an IRA, you literally have access to thousands of investment options and a number of different strategies to grow your wealth. There is a period of time that Boeing stops making contributions after you take advantage of this feature so you probably don’t want to do it too often. But once you have a considerable amount of employer (Boeing) contributions (ex: $100,000+) then this strategy can be a great way to get access to a greater variety of investment options. When you’re headed into that final stretch before retirement, it’s important to have a financial plan set in place and be executing investment strategies that are personalized to your situation. As such, when you reach the age of 59 1/2, the Boeing Voluntary Investment Plan (VIP) allows you to do what’s called an “in-service distribution” or “Age 59 1/2 Withdrawal” That means you can rollover a pro-rata share of investment earnings, rollover after tax and rollover pretax accounts, pretax account, employer matching account and employer profit-sharing account once you are age 59 1/2. If you rollover to an IRA or another qualified plan, there are no tax consequences. Age 59 1/2 withdrawals from your Boeing VIP can help you customize your investment strategy to fit your needs. If you are 59 1/2 (or getting close) and have questions about whether this strategy is for you, I make it super easy to get answers, without having to talk to some high-pressure sales person. Just reach out using this secure, confidential contact form and I’ll get back to you via email within 48 hours to help point you in the right direction. Within the Boeing VIP there is a Boeing Stock Fund that allows you as an employee to invest and profit in the stock from your own company. The Boeing Stock Fund is set up as an ESOP, which is an Employee Stock Ownership Plan. One important point to note is that insider trading restrictions apply to transferring funds into or out of the Boeing Stock Fund. That means that you cannot transfer funds into or out of the Boeing Stock Fund if you are aware of material nonpublic information about Boeing. Another consideration is that since the Boeing Stock Fund is only one investment, it’s going to be more volatile than other funds and since you are already relying on Boeing for your livelihood (paycheck) you’ll want to make sure you are properly diversified. Check out my blog on the 5 Mistakes Employees Make with Company Stock. The Boeing Stock Fund also pays a quarterly dividend that can either be reinvested in Boeing stock (the automatic option) or paid in cash. Like the other available investment options, any transfers to or from the Boeing Stock Fund that are made within 15 calendar days are subject to the 1.5% penalty fee so you’ll want to pay attention if making trades in a short time frame. Have Questions About Your Boeing VIP 401(k)? Being educated about the important points of your 401k can help you make smarter decisions. If you have more questions I would be happy to help you! I make getting answers super easy without having to talk to some high-pressure sales person. Just use the secure contact form to ask a question and I’ll get back to you via email within 48 hours to help point you in the right direction. Remember, it’s free to contact me. Plus, I am a fiduciary advisor putting your personal needs first and foremost! Lastly, like all humans — I do make mistakes. If the plan changes and you see one on this review please reach out and let me know. I’m happy to admit when I’m wrong and update my blog. Also, if you’re an investor and have questions please feel welcome to reach out as well. I offer a free wealth discovery meeting where we can discuss your personal situation and how to get you moving in the right direction! What are your thoughts in rolling the majority of my Boeing Stock over to Fixed Annuity Plan. I do not lose my principal but gain, 4-6%, when the market is doing well. I receive nothing if the market dips. Thanks for commenting! The problem with limiting to yourself to 4-6% gains is that you may actually need to much more to provide income and beat inflation over the course of your retirement. Ever person situation is unique. Feel welcome to email me to discuss further! You did not mentioned that if you got laid off at 55 years old or older and unemployed, you can withdraw to your 401k and not get penalized. Great point! I’ll have to include that in an edit sometime soon. However, I have written about the “Rule of 55” in a separate blog post. Check that out here!